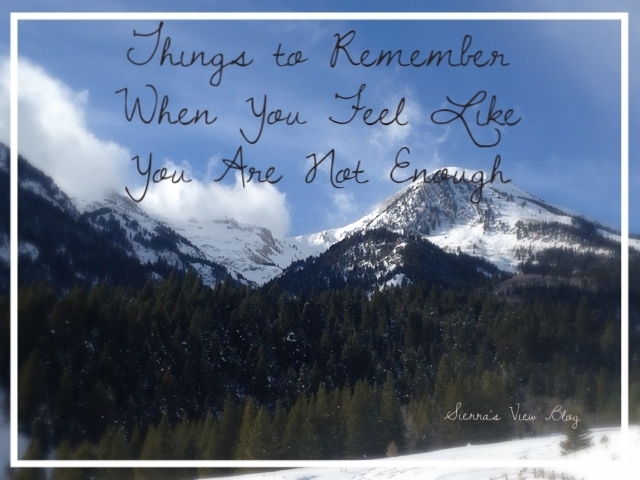 Sierra's View: Things to Remember When You Feel Like You Are Not Enough. Things to Remember When You Feel Like You Are Not Enough. Today was hard. 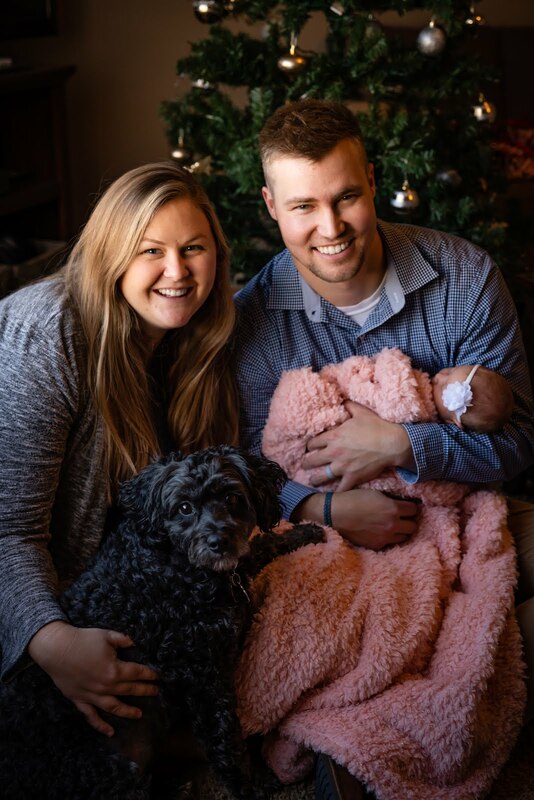 It has been a challenging year in my classroom. I am mentally, emotionally, and physically exhausted after teaching this year. I am drained. I was already having a rough day when I was handed a sheet of my student's test scores growth over the past few years. I had to do everything in my power not to burst into tears while reading this sheet. I was completely discouraged. I started questioning everything that I have done in the past as a teacher and what I am doing now. I was doubting my ability to even teach. I was being compared to other teachers (who are fabulous, mind you!) and it did not help me feel any better about my career. So much of who I am correlates with my career as a teacher. I know that I may not ALWAYS be a teacher, but for right now, it is a part of me. And if I feel like I am not even succeeding at that, what is the point of it all? It's hard to be a part of a job where you don't feel appreciated for the work that you do. As I drove home from school today, I bawled my eyes out. I am not saying this to receive pity. I am saying this because I know what it feels like to not be good enough. I questioned everything about my teaching. Is this even what I want to do with my life? It's a very sad, very emotional feeling. I just screamed and cried and voiced all of my frustrations, concerns, sadnesses, and hardships that comes with being a teacher to Tanner. Sometimes it's hard to put into words how challenging being a teacher is. Today has been hard. And I've had to deal with it. Because when life gives you hard things, you need to deal with it. So, I write. I think that it's s safe assumption to say that every single person on this planet has felt "not good enough" at some point in their lifetime. Recently, I have felt an overwhelming sense of self doubt. I have, repeatedly, felt a pang of sadness wash over me as I have analyzed portions of my life. I find I, unfortunately, tend to come back to feeling like this, no matter what. I'm not entirely sure if it's correlated with my own personal emotional trials or stress, but I can't help but feel like life just wants to kick me down at certain points. There are different places and times when one feels like this. In can be correlated to work, spirituality, friendship, romantic relationships, family, confidence, shame/vulnerability, hobbies, etc. (For me, it's all of them right now ha). This person is better at their job than me. Nobody appreciates what I do. I am not good at my career. I am not a good enough mother/father. I am not a good enough wife/husband. I am not a skinny enough person. My arms aren't as thin as hers. I am not loved by others in the way that I feel that I deserve to be loved. I am not as good looking as others. My house isn't as organized or cute as theirs. I don't have my life together like they do. Would anyone even notice if I didn't do what I was supposed to? Why do I feel like others not treat me the way that I treat them? I am not enough for the Lord to love me. What am I doing wrong in my life? I am so mean to myself. It's not fair. I am my own worst critic and it's tiring. I can imagine that some of you have thought these things. If you haven't, then teach us all of your majestic, perfectly confident ways. I feel like I am a confident person, but, honestly, I struggle, at times, to be as confident as I know that I have the potential to be. I wanted to share with you some things that I have been thinking about tonight. Things that I need to remember when I don't feel good enough. Perhaps these things will help you. 1. You are not comparing alone. Everyone compares their individual self with someone else. With the newest technology, its hard not to see everyone's "highlight reels". Everyone compares their trials and weaknesses with someone other's strength. It's what we all do. This does not make it right. But, for me, sometimes, its just nice knowing that I'm not comparing myself alone. This is my mantra for the year. And I REALLY need to remember this right now. I am enough. I am not perfect. But I am enough. I am a good teacher and even if I never get that validation from parents or teachers or principals or coworkers, I need to remember that I am doing the best I can. 3. Give Yourself Some Slack. I am really hard on myself. As I looked at my student's growth percentages today, I immediately went to the worst. I did not analyze what I was doing well, but automatically focused on what I need to work on. Y"ou are doing better than you think you are." I need to remember that. 4. It's Okay to Be Sad. How you feel is how you feel. THAT IS OKAY. That's all I'm going to say about that. 5. Lack of Validation Does Not Mean You Are Worthless. I am someone who needs validation. I don't feel like I am super needy and constantly beg for attention, but every once in awhile, it is nice to receive some validation from others. Whether it's at work, at church, with friends, with my husband, etc. I think that everyone needs to feel recognized at some point. There will be times when you don't receive that validation that you want. You are not NOT doing a good job because you don't receive that validation. Just remember that. Labels: almost, not good enough, self esteem, struggle, teaching. That is one reason I hate standardized testing. It's a good idea on paper, but it's never been implemented well, I feel. Two things I have to remember l: 1. We always compare our weaknesses to others' strengths. ALWAYS! 2. CS Lewis said it best, "comparison is the thief of joy." Hang in there, Sisi babe. This is well said! You are more than enough, friend! I'm sorry it's been so tough! Love this though, my favorite is the last one, I like validation too.